Treatment of dark under-eye circles can range from the simplest of methods to more tedious ones; may cost nearly nothing or run up a few hundred or thousands of dollars; and can be very safe to somewhat invasive. How should you choose? While the underlying causes of this facial problem are various, the following five options are usually considered when it comes to how to get rid of under eye dark circles. And amongst these options is a consistent solution which almost never fails. Some types of tea, such as green tea and white tea, are loaded with the compound EGCG, or Epigallocatechin-gallate. This is an antioxidant and anti-inflammatory agent good for reducing eye puffiness and dark circles. Typical usage: Soak 2 teabags in boiling water and then place them in the fridge to cool. Place the cold tea bags on the eyes for between 10 and 20 minutes. 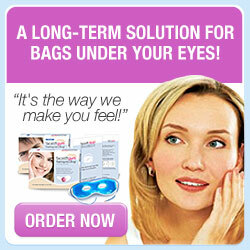 Remove the bags and pat the eye area dry. Cucumber has high water content, which is great for hydrating the skin to treat dark circles and swelling around the eyes. 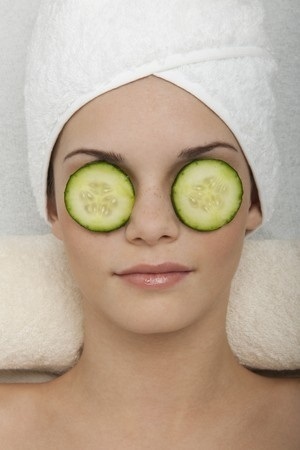 Typical usage: Cut two thick slices of cucumber and place the pieces over the eye area. Remove after about 15 to 20 minutes. Some people recommend dabbing the juice onto the problem spots for better effect. Other home remedies for dark circles include drinking plenty of water, placing a cold metal spoon on the eye area and applying sunblock around the eyes. All are simple ideas but don’t offer lasting results. Using makeup to hide dark circles is probably a preferred approach for women. With the wide range of dark circle correctors and concealers available, the ladies are spoiled for choice; though they ought to be selective about what goes onto the face, especially the skin around the eyes. Makeup offers a quick solution — albeit a temporary one — to improve on appearances and not let the nasty circles ruin a day out. Just like makeup, applying eye creams is a readily acceptable solution to many women. In fact, most of them wouldn’t be new to the idea of prevention as they use facial products daily to care for their face. Especially the need to nourish the skin to defend against the harsh effects of makeup and dehydration. 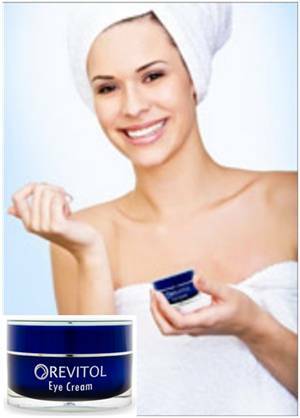 In particular, a dark circles cream will contain unique ingredients to treat the problem: emollients, antioxidants, anti-inflammatory agents, etc. Good quality creams often go further to promote healing, natural production of collagen and a more youthful look as a result. And the best ones use many natural ingredients in their cream formula; for example, Revitol’s eye cream contains Bisabolol, Chyrsin and Fraxinus Excelsior bark extract — and no toxic substances like cancer-causing parabens. What’s more, this cream works on bags under the eyes and wrinkles too. Eye creams do need time to take effect and should be used diligently — apply them daily for as long as possible. This is treatment and prevention at work concurrently: diminishing dark circles and maintaining a youthful complexion. Meanwhile, using a good concealer that matches the skin tone can help to disguise the circles during the initial period of eye cream use, if needed. 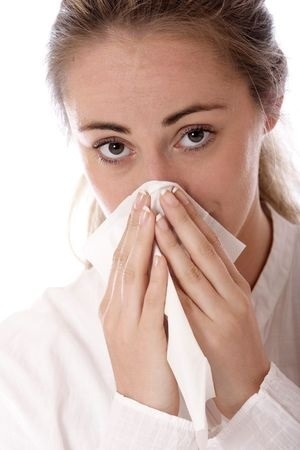 Allergy arising from substances such as dust or pollen can cause skin discoloration, especially beneath the eyes. In addition, food-related allergic reactions can cause puffy skin to develop under the eyes. For such cases, professional help such as from a dermatologist is required. Usually, multivitamins are prescribed because those who are prone to allergic reactions tend to have vitamin B12, B6 and Folic acid deficiencies. Dark circles are also linked to Celiac disease and allergic reactions to gluten. Here, blood tests will be needed to determine the real cause. In general, people with gluten intolerance should avoid eating gluten-rich foods — e.g. cakes and bread baked with wheat flour — in order to remove dark circles under their eyes. According to www.netdoctor.co.uk, some of the possible causes of dark circles under and around the eyes are life style-related, such as lack of sleep, smoking, unhealthy diets and stress. In short, modifying these habits may help to reduce the appearance of circles. Lack of sleep affects circulation which can cause development of dark circles beneath the eyes. At the minimum, get some seven to nine hours of sleep every night. In addition, avoid substances that could interfere with sleep, such as coffee and certain medication (if possible). Instead, take vitamins; and ramp up intake of foods rich in calcium and magnesium as they promote good sleep. Unhealthy foods like hamburgers, sugar-rich cakes and fries lack essential nutrients: vitamins such as B12 and antioxidants. Cut down on them fast and eat more healthy foods like whole grains, lean meats, plenty of vegetables, legumes and fruits instead. Besides causing damage to the respiratory system, smoking can also cause mild swelling under the eyes. This is because smoking causes blood vessels to dilate and appear bigger than normal. Stress is another leading cause of dark under-eye circles. It can interfere with sleeping patterns as well as eating habits — a stressed person is more likely to gorge on junk food and consequently have trouble sleeping — and thus worsens the problem with circles. It is best to avoid stressful situations and be relaxed: take a holiday, visit a spa or meditate. 5. Hyaluronic Fillers and Eyelid Surgery — Is This the Way to Go? Are surgical ops worth the risks? In recent years, Hyaluronic acid facial fillers — Restylane is a well-known one — have become popular in treating dark puffy eye bags. 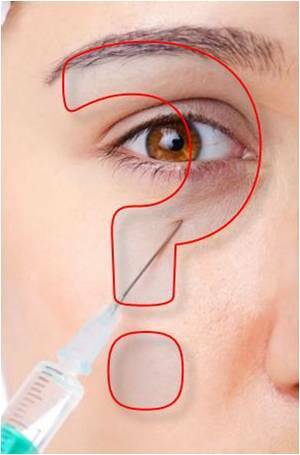 During this treatment, the physician injects the filler under the eye skin. Results are reportedly often temporary because the body absorbs this filler within a few months. Surgery is sometimes opted for more effective reduction of dark circles. In eyelid surgery, the surgeon may insert tear trough implants and re-position, remove or add fat under the eyes. Another form of surgery is the cheek lift or mid-face lift, which tightens drooping facial skin caused by aging. Although more complex and costly, results are not necessarily satisfactory after these ops. For sure, changing bad lifestyle habits must be encouraged — it’s not just about how to get rid of under eye dark circles but also about staying healthy. The solutions to these are simple and straightforward but do require determination and perseverance. And without doubt, cosmetics makeup comes in handy for hiding dark circles fast, but this does require some skill to do correctly. Published on October 19, 2014 by Amore. Posted in Dark Circles, Eye Care Tips. Eye Secrets Review: Collagen & Q10 Eye Gel Patches — Is There More Than Meets The Eyes? The Best Eye Cream for Dark Circles — What’s the Real Deal?